I recently received a response (May 2006) from a senior member of Vancouver news media that was, to say the least, arrogant, rude, and more importantly, indicative of this professional's complete lack of global sense of place. It demonstrated almost perfectly the serious downside, in our 2010 era, of some Vancouver media being insular and not knowing how the contemporary world around us works. The response was surprising, but only because this person is a senior member of news media with well over two decades of experience. I was not surprised to receive the message, I was however surprised to receive it from someone with such depth of experience. The personal attack on my intellect and credibility was something I expected from a junior woodchuck, not a seasoned pro that should have known better than to take it personally and lose objectivity. Unfortunately, the response was sent with a harshly worded demand that the author and the message not be identified, and I promised to comply, with limitations, but not without asking that this person reconsider and allow me to connect the writer with at least one of the statements in the message. My request was ignored. In an effort to protect the sender, and the sender's company, and for the sake of simplicity, I will refer to this person simply as "Kim Philby," and as neither, male or female. I will however share with you "my" response to Philby's message. Unfortunately, I cannot share Philby's original message with you because it would surly identify the author and company. Unfortunately too, I also cannot reveal which of my articles incited the response, because to do so would reveal the sender and company, which means I must get a little creative in an effort to help you understand what transpired. Rest assured though, you know Philby and news company well. By far, the most interesting admission was that Philby did not, as a member of local media, feel any responsibility whatsoever to protect our community. Philby, and obviously Philby's news company are clearly in business strictly for personal gain. It is not surprising news for me, because after all, it is what I've been warning you about for the last two years, it is however surprising that a senior member of Vancouver news media would so easily admit it. Here is one line of what Philby wrote to me. Philby was responding to my assertion that everyone in our region has a responsibility to make the Olympics work relative to the best interest of the local community. "My mandate as a reporter isn't to "reduce Olympic spending", be a "part of the problem" or even be a part of the solution. It's not in any handbook I've ever read. Maybe it's in yours, but my job is to write about the Olympics, fully and fairly." Philby's statement referencing "journalistic integrity" is noble, except that the last three words, as they relate specifically to Philby's news company are false. Philby's news company does not, as a result of either ignorance, design, or both, report fully or fairly regarding the Olympics. Their actions over the last two years very strongly indicate that they report primarily to further their prospect of economic gain. The sophistication of their news company leads us to believe they are doing this purposefully, and that they are not naïve. Philby also wrote above that it is not in Philby's mandate to be a "part of the problem," yet that is exactly what Philby's news company is doing. Half-truths contribute to the problem. Absolutely all news companies in Olympic regions stand to make a fortune as a direct result of the Games, some more than others. In fact, recent history has proven that the news company that tells the Olympic story in a manner that aligns most favorably with Olympic organizations stands to profit the most, and as we all know after watching what happened in Salt Lake City ($1.2 billion deficit - recently reported by CBC), Athens ($12 billion deficit - common knowledge) and Turin (still counting), news media's gain, by default, is always on the back of the community. I ask Kim Philby again; do you feel any responsibility to at least explore the possibility that media relationships with Olympic organizations contribute in a significant way to these rising community costs? If it is not in your handbook, it is time for you to start reading a new book, and I have a perfect suggestion. It's called Leverage Olympic Momentum. 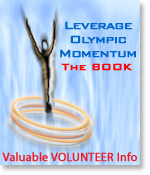 I am sorry for the shameless pitch, but if you know of any other books published regarding 2010 that address in documented detail the relationship between the community, small and midsize businesses, news media companies, and Olympic organizations, please let me know, and if appropriate, I will recommend them too. We decided to nip trouble in the bud, so consequently this is the first time in history a book of this sort has been released before the fact, much to the chagrin of Olympic organizations and local news media. It is important to note that books even remotely similar to Leverage Olympic Momentum are ALWAYS released after the Games leave town and well after the damage is done. Here is my ORIGINAL complete response to Philby's first message; (In a second response to Philby I sent a message asking if Philby's news company is now, or do they ever have plans to become an Olympic sponsor. Newspapers become Olympic sponsors just like Visa or RBC, and when they do, they sign a legally binding agreement stating they cannot take any action that is detrimental to Olympic organizations, including reporting news that hurts the Olympic image. Never heard back. that Philby is connected to this addendum . . .
** Since this article was originally published in June of 2006, The Vancouver Sun announced in July 2007 (as I've been predicting since 2005), that they are on VANOC's payroll and will become the offical Olympic local news media trumpet for 2010. The 21st Century is a new and difficult time for [all traditional styles of] news media. If you keep an open mind you have nothing to worry about, however, you exhibit classic signs of a person clutching to an ideology that is no longer relevant, or exists. In this modern era, if you have something to say, say it in an open forum and put your name on it, if not, you have nothing of consequence to say. It's not my rule. It's just the way it is today. You characterize me as tilting at windmills, which is ironic because your company operates in some respects like a defunct, old-fashioned apparatus. Your windmill however, is not in my imagination. It is instead a reality you do not want to face. You might have noticed that I do not tilt at wind turbines (news companies with a progressive outlook that operate objectively and in a nonpartisan way), only windmills. I am sorry to see you are not interested in learning more about the changing world around you. I never claim OlyBLOG.com is the only view; only that it is progressive and unique. Ignore us at your peril. Your comments are founded on old thinking. Calling me names reflects your state of anger and frustration, but I suspect you're not half as mad at me as you are at the overall state of affairs of your industry. You attacked me personally, but you know little about me except what you surmised from a cursory view while you were upset. I on the other hand have followed your news company closely for quite some time and now feel qualified to use the term "[inept]" relative to your collective performance. My only other alternative was to accuse you of bias, but it wasn't appropriate in that specific instance, nor did I want to chase around to connect the dots to prove an absolute. Your explanation of how you manipulate "[people you interview]" or how they manipulate you is so convoluted, not to mention unethical, I don't even know where to begin, so I won't, at least for the time being. If you really operate like this you have lost your moral compass and don't know you're going in circles. In response to some of your other comments, first, regarding the [company name] piece, I included the date simply as a point of reference, and I agree that the wording was distracting. My rule of thumb is that when I relate information that is generic, it does not warrant a cite. Besides, were you really upset because I didn't rag on you? That's a first. In case you haven't noticed, most media DO NOT want me to mention them. You should have noticed that my comment was not at all about your news company, but of the relationship between [your company] and VANOC. I made a decision not to drag your company into it because you actually also told the community's side of the story -- albeit with an incredibly biased lead, and zero mention that this happens in all Olympic regions (ed. note; another perfect example of your news company's trend of not telling the full story). Here's a direct quote from the piece you referenced. … Go back [Philby] and re-read my excerpt from the book to see what I wrote months ago about this issue. Our purpose is not to blindly support VANOC's agenda. It is to clarify the bigger picture for our business readers. If they want propaganda, they can go elsewhere, but in this instance, your company is not important, and even mentioning them would only confuse the issue. If you like I will remedy it in the next issue. Just let me know, but in the interim, if you were not trying to influence readers to support this common and inane Olympic practice why would you choose to lead your article off with a picture of a [icon], that ironically, to informed people represents obesity in children? Also for the record, I managed a major event for Calgary '88, plus Expo '86, and quite literally 1,000 plus events around the world since 1978 in partnership with companies like IBM, Bell, and Eli Lilly, among others, in cities like Miami, New York, San Diego, London, Amsterdam, San Juan, Hamilton (Bermuda), Sydney (Australia) and literally thousands of other towns in between. My view, unlike yours, is a worldview. By far, the Olympic event was the second most disorganized experience of my long career (I describe it in detail in my book), and based on our relatively recent research (since 2003), I now know my experience with them was not an anomaly. I know what is coming in the next four years, and I have gone on record to share this information regularly for the last two years. Unfortunately, you chose to ignore us because it doesn't fit your agenda of profit. I do not have to prove anything to you. My record speaks for itself. I gave [your news company] the benefit of the doubt for the last couple of years, but I can no longer afford to do so. In the beginning, I was gentle and respectful, but you guys didn't get the hint. Now, the gloves are off. You and all local media are absolutely mistaken if you think your responsibility is not first to our community. I don't care what type of oath you took, and you may follow it, but media in general no longer does. Take it up with your boss. If you think otherwise regarding allegiance to our community then it is time for you to retire or move. (I beg of you to allow me to attribute your statement regarding your perception of allegiance, or more accurately, lack thereof to our community, to you in my blog. I doubt you will grant it, but I have to ask.) The statement you made is central to the problem with traditional media in Olympic regions today. You are not alone in your thinking, but unfortunately, you are not right. It speaks of your age and the "warm and fuzzy" notion of the Olympics you steadfastly cling to. It's time to grow up. Ben Johnson was my wake up call. Part of my job today, and I assumed it reluctantly, but had no choice, is to make sure small and midsize business owners know that your news company stands to make a fortune off the Games, and an even greater fortune by telling the Olympic version of the Olympic story. I doubt that you are naive, so consequently, if you do not realize local media's role by now, then I have completely overrated your intellect and investigative skills. I address media's interaction in my book and blog and have been predicting for some time [which news company] will become the sponsor media in our region. If you don't know what that means, read my book. You won't like it. I have to admit though, it is also possible [name of company], could become a contender, but [one news company in particular] is a better fit for the image the IOC promotes of itself. Change is difficult for everyone. I am 52 with a world and lifetime of research and media experience, and if you think my perspective is different, wait to you see what is to befall this region in the next few years regarding media and the Games. I am but the thinnest leading edge. One of your mistakes is to fault me for getting there first. If all local media did their job, I wouldn't have to waste so much time correcting misinformation. You distract me in a way you cannot imagine, but in a short time from now, if you continue along the same road I will not have to concern myself with you, and neither will the community. 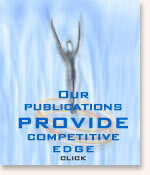 My book describes in exact detail what your company is doing. You are cookie cutter. Considering you are a respected senior media professional, your angry response only demonstrates once more that most local media professionals do not have a clue what happens to a community in an Olympic region -- until it is too late. Either that or you are a very good liar, which I doubt because I know your work and reputation. Why sully it now over a seventeen day event that will serve to make your employer more wealthy at your and the community's expense? You gave yourself away when you wrote that what "you" read regarding the Olympics is not what I read. You proved beyond a doubt in that statement that whatever you're reading does not give you a balanced perspective, and based on your history and experience with FOI [freedom of information] requests, this tells me you are not looking hard enough or in the right places. You dismissed my perspective out of hand without considering it properly. If I were a reporter I would demand of my interviewees to know why. But I am not, so I only report "your" actions, and explain to a very select audience (small and midsize business owners) "my interpretation of your company's" motivations. Whatever you are reading obviously comes from Olympic organizations, which means, as I describe in my book, that your perspective is biased. We spent almost three years and invested a six-figure budget researching what happens in Olympic regions. I know that for a big company like yours it is a minor blip, but for a small company like mine, it is a big accomplishment to paddle into breaking waves for three years and still have enough energy to get up every now and then and ride a killer wave, which BTW is happening more and more every day. Interestingly, every time I look around I see more and more people in the surf with me. So far, every single one of my major predictions has come to pass. I haven't missed once, including my description of "how media works an Olympic region." [Your news company] could be the poster child for "necessary illusion" (Chomsky.) If you don't like my blog, you will hate the book, and the movie will give you a stroke. You opened your response by calling me an apologist in a manner that suggests it is a bad thing. You suggested I should be a reporter instead. Why? That's your job. Your comment about first-line sources is immaterial and couched in old thinking. No one cares about my sources because they understand that what I do is much different than what you do. You also still haven't figured out that my sources are 'YOU." Out of respect for your industry, and in an effort to give all media an opportunity to rethink the role they play in our burgeoning Olympic region, it seems I have been too subtle. People today care more about how you (media) "interpret" your sources. They want the backstory, and I provide it. (Our slogan is, "We don't break the news. We fix it.") OlyBLOG.com is for small and midsize business owners, not the general public. Intelligent people no longer take media's word as gospel. We compare. In case you haven't noticed, the public has a deep and justified distrust of media, and I suspect this is "partially" why you are angry with me. I suspect this based on our research and experience, and I am not simply hanging it on reports from PEW Research. I also suspect that you're partially upset because I pull the curtain aside to reveal the wizard. You are taking this personally when you should instead be looking closely at the overall machinations of your industry. Unfortunately, anyone with [over two decades] invested in a dying business model, like you have, has a difficult time being objective, and I do not blame you in the least, but you have to move beyond it. Attacking my intellect and credibility the way you did might make you feel temporarily superior, but it won't help you win back the marketshare [your news company] loses every day. On November 10, 2005 I attended a seminar at the downtown SFU campus. It was entitled "Making Media, Creating the Conditions for Communication in the Public Good," with guest speaker Marc Raboy professor of ethics and media at McGill. At the end of his presentation one of the questions from the audience was prefaced with a statement that [your news company] has a reputation for being the worst [news company of your style] in Canada. All heads including mine turned to see who made this bold cutting remark. I had no idea at the time that your local [news company] attracted national criticism. I thought I was the only one holding your feet to the fire. It is obvious from your comments that you do not have a sense of my collective work, so you would not know that it is only on rare occasions that I have cause to critique "other" media. It's not a coincidence. [Your news company] is deserving of my observations and comments, but when I occasionally see others go off the rails, I do not play favorites. Regardless of what you think you know about news company owners in Olympic regions, I know different, and your company has proven it to me and my readers for the last two years. (You're too close and have a vested interest to easily accept what I know.) My book, in a way, is a preemptive roadmap regarding [your news company] for the next four years. So far you have disappointed me and our readers, but hopefully you will turn things around. In fact, that is the whole point of this exercise. If you don't change, I will still win, but it could be a relatively hollow victory. (My goal is not to prove that I am right, it is to enact change that will benefit the community.) On the flip side, if you get onboard with the community you, I, and our region will be even bigger winners. So far you are on the wrong path. Our community needs media to step up to the plate - or shut up. If media is going to hold up the nonpartisan card, then play it the way it is meant to be played, fairly. The point of my book, and respected academics, plus professionals with high-level Olympic backgrounds also state, that the current Olympic model does not work, and that local media more often than not play a major role in perpetuating a plan that is doomed for failure from the outset. The difference between them and I, is that they only criticize, while we, not only offer solutions, but also make strides towards their execution as represented through my blog, book and our work with the business community. The last three Olympic regions have been wracked with economic hardship. It has to change, and it has to start with you, which is why I question how you unconditionally put your [news] company's gain before that of our community. It is a thin veil for you to invoke considering the wobbly reputation your industry currently lumbers under. Because of the integral role media chooses to play [for profit], you have a responsibility to make the Olympics work for everyone, and not just line your pockets. If you think we are going to sit by and watch you do so you are mistaken. It's a new era with new rules. Now is not the time for your company to posture over oft ignored and loosely interpreted airs of "journalist integrity." Now is the time to do the right thing. I'm surprised and sorry you took this personally, although in retrospect knowing your company's reputation I suppose I shouldn't be. You broke a cardinal rule of journalism by not remaining objective, which proves my point in spades. But I hope our interaction has caused you to at least think differently. It has nothing to do with personal gain re my book. It would be nice if I had more support from local media, but it is not necessary, and considering what I wrote in my book about [specific local news companies], I pretty well sealed the deal [for their support] when I released it. However, every time one of my predictions comes true [your unprofessional attack here is one more tiny instance], my cred goes up a notch, and of late it happens quite regularly. Attack me personally all you want, or continue to ignore me. I describe both strategies in detail in my book because I knew how you would react. We don't need you to juice our company. We do however need you to consider and report both sides of the story, and I ask that if [your news company] feels they have to continue to be biased, could you please at least lean towards the community? If you are interested in telling the "Olympic story" in my presence you have little choice but to relate a much bigger picture. My book provides a 40,000 feet view. Ignore it, and you ignore our community. P.S. Your message to me started with a notice that it was your "personal view" and not for distribution, and I will honor your demand, but I'm wondering, have "you" always adhered to the "off the record" request? In the media world I see, nothing is ever fully off the record. It is how people get caught saying something in private when they assume the microphone was turned off. It's no wonder media is not trusted. My "response" to you here is not off the record, and out of respect to you, and because I want business owners in our community to understand what they are dealing with, I will eventually publish my message in a way that does not reveal your identity. But I also want you to clearly understand, that anything you send me in the future may be used with your name attached, if appropriate, unless of course you want your comments and observations protected under the "source" convention and published anonymously. (But remember, no biased Olympic boosterism or I/we as in the community will ignore you.) If you want to continue a "public discussion" based on my remarks here I will continue to honor your demand to not publish your first message to me, and work with you to make sure you are not identified. You were angry and I am sure it does not reflect your intellectual self.